Back on the market! Buyer did not perform. Terrific Corona del Mar village opportunity. 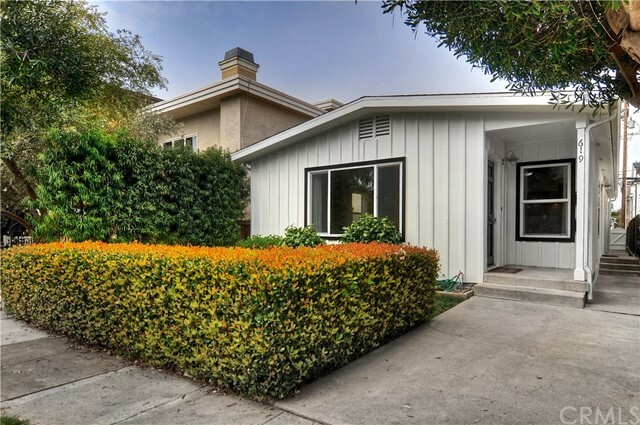 Quintessential Corona del Mar Village cottage duplex featuring a pleasing partially remodeled three bedroom front home with yard and garage and a nicely detached two bedroom back home with garage. This is truly the best value duplex in the Village privately situated across from the park on the ocean-side of Pacific Coast Highway and a convenient distance to the shops and restaurants of the flower street’s seaside community. Exceptional location just two blocks to Begonia Park and six blocks to the sandy beaches and sparkling ocean via the nearby Goldenrod walking bridge. Zoned R2! The front home boasts a spacious en-suite master bedroom. The large living room with fireplace is open to the dining area and kitchen. The back unit also features a light and bright living room, dining area, open kitchen and generous sized secondary bedrooms. This sought-after duplex is fresh and clean and is a very advantageous rental property. Or Live Your Dream in the front unit and generate significant rental income from the back unit. This is also a remarkable opportunity for a builder or investor. 619 Carnation is part of the City’s first phase initiative to bury the overhead electrical lines currently underway. The seller has already paid the approximately $22,000 invoice to the City of Newport Beach for the first phase of the underground utility initiative.